Turning the Page Like a Boss! 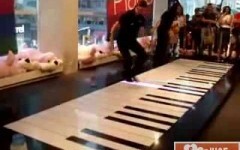 The Coolest Piano Duet You'll Ever See! Dare Change. Go For it! Santa Saw Your Facebook Photos!